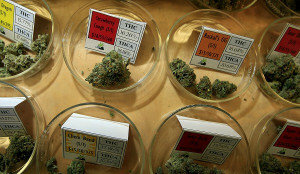 The legalization of marijuana in the state of Colorado has recently made national news. Although, I have mixed emotions about the decision for recreational use legalization, I do believe there are medical benefits to medical cannabis. Throughout history, the properties of CBD and THC in medical cannabis have been prescribed for treatment for an array of illnesses that cause debilitating physical pain. In addition, medical marijuana can help to manage anxiety, sleeping disorders, and eating issues related to chemotherapy. For all fifty states, the FDC has approved two drugs that have the main ingredient of THC; Marinol (dronabinol) and Cesamet (nabilone). They are available by prescription. Several states have laws that make medical marijuana available in a dispensary. A common effect of cannabis is a feeling of overall well-being or happiness. Cannabis works effectively for these different disorders because it has 61 unique cannabinoids. Patients will see different strains of medical marijuana that are customized for the specific condition. The relief of joint pain and the reduction of inflammation makes medical marijuana an effective treatment for arthritis. In addition, Rheumatoid arthritis and osteoarthritis are also good candidates for the help of cannabinoids in marijuana. According to the American Cancer Society, certain Cannabinoid drugs have been approved by the FDA to relieve vomiting, nausea, and increase appetite in people with cancer or AIDS. Other extracts of marijuana are still being tested. Shingles can be a very painful condition that cannot be effectively managed by traditional painkillers. Because shingles attacks nerve cells, the use of medical marijuana can reduce inflammation and relieve pain. Medical marijuana may assist in the treatment of Crohn’s Disease, seizure disorders, and muscle spasms caused by multiple sclerosis. Medical marijuana may be smoked, vaporized, eaten (usually in the form of cookies, brownies or candy). Finally, it can be taken as a liquid extract. addition, the Illinois law does not appear to have a residency requirement. The benefits of medicinal marijuana have been researched extensively over the years. I believe that under the supervision of a physician, the patient may experience a reduction in pain and anxiety with several chronic diseases and conditions.